"Let's see what colour it has," he said, in Romanian. "Chocolate with milk?" 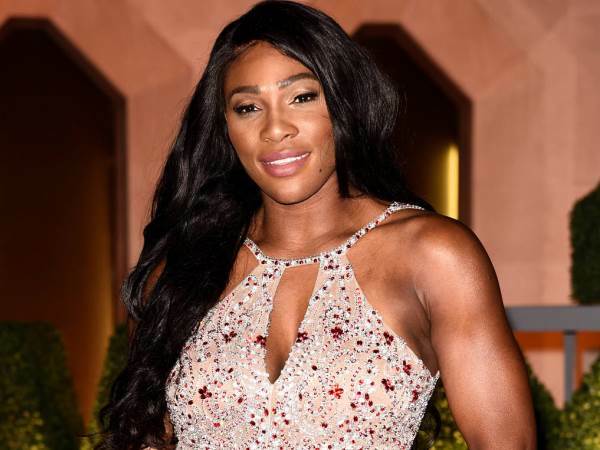 Tennis ace Serena Williams is disappointed by the "racist" remarks retired Romanian sportsman Ilie Nastase made about her unborn child following her pregnancy announcement. Serena showed off her growing belly in a Snapchat post last week, revealing she was 20 weeks pregnant. The news, which came just four months after Serena announced the news of her engagement to Caucasian Reddit co-founder Alexis Ohanian, reportedly prompted former tennis world number one Nastase to poke fun at the skin tone of the couple's unborn baby to a reporter while attending a press conference in the Romanian city of Constanta on Saturday, ahead of his country's Fed Cup play-off match against Great Britain. Officials at the International Tennis Federation (ITF) immediately declared they were launching an investigation into Nastase's comments, which were overheard by other players, and now Serena has given her full backing to the sporting association after slamming the 70-year-old for his ignorant quip. "It disappoints me to know we live in a society where people like Ilie Nastase can make such racist comments towards myself and unborn child, and sexist comments against my peers," the mother-to-be wrote on Instagram on Monday, referring to other controversial remarks made by Nastase later on Saturday, when he appeared to call Great Britain's tennis captain Anne Keothavong and Johanna Konta "f**king b**ches" as he was removed from the Fed Cup match for unsportsmanlike conduct, according to The Press Association. "I have said it once and I'll say it again, this world has come so far but yet we have so much further to go..." Serena continued, before insisting the negativity will not dim her light. She concluded her message: "I humbly thank the ITF for any consideration given to all the facts in this case. They will have my full support."